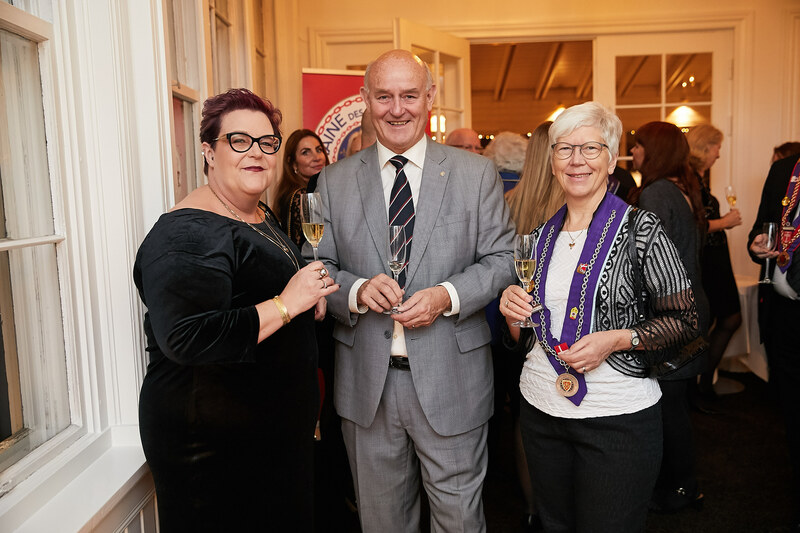 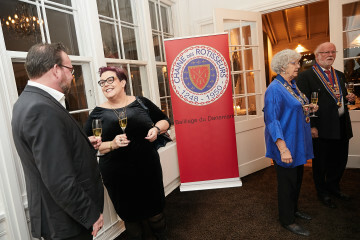 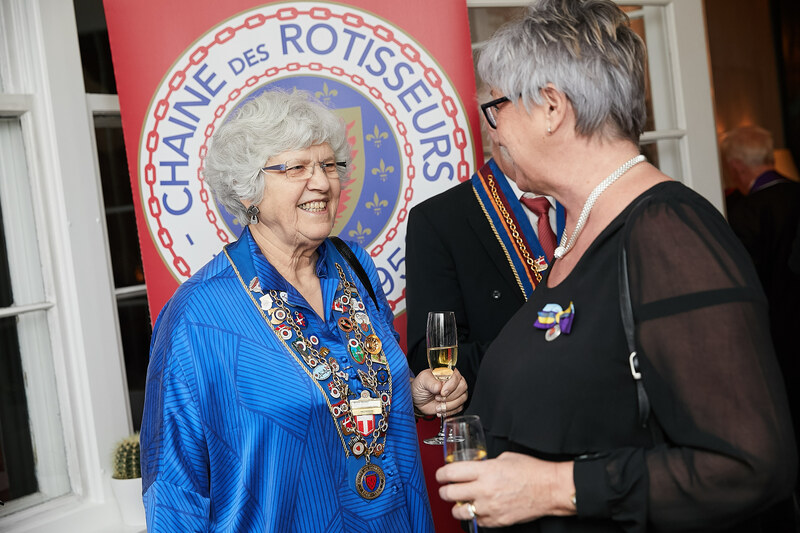 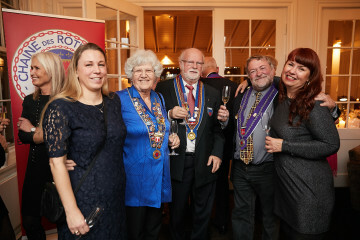 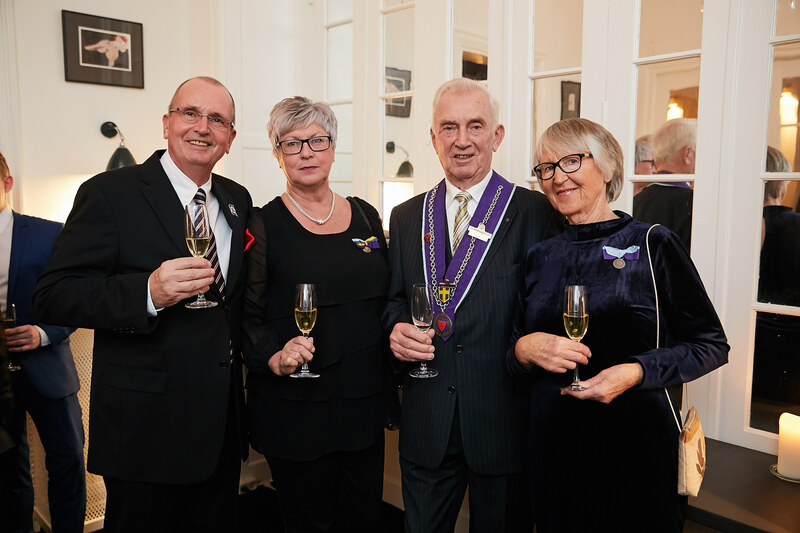 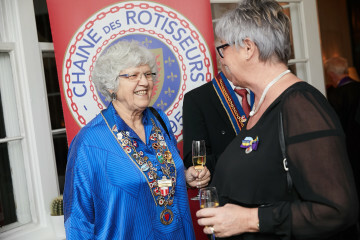 We arrived at the location with the view to the illuminated castle next door and were greeted at the door by a member from the service brigade, with glass of Cremant for the welcome. 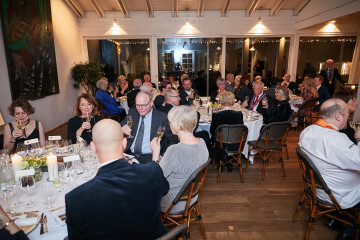 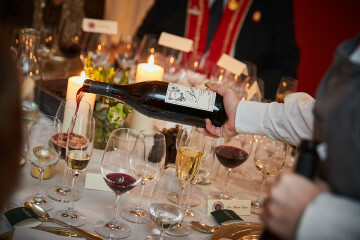 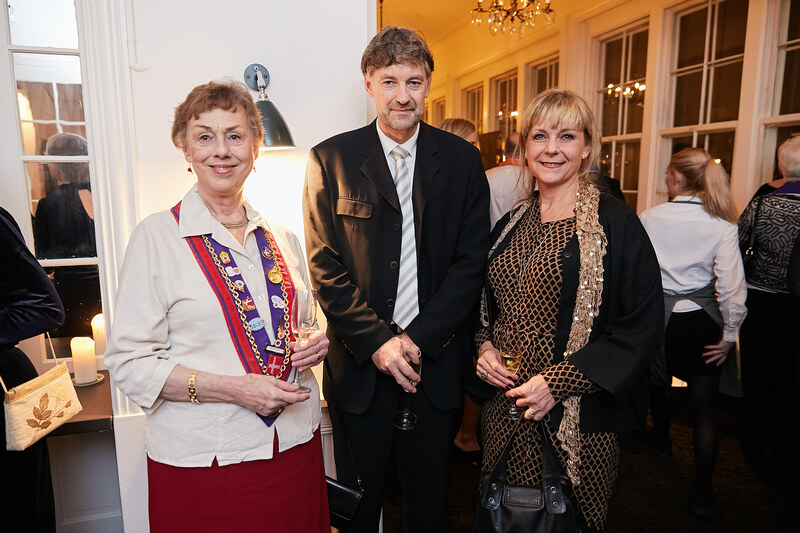 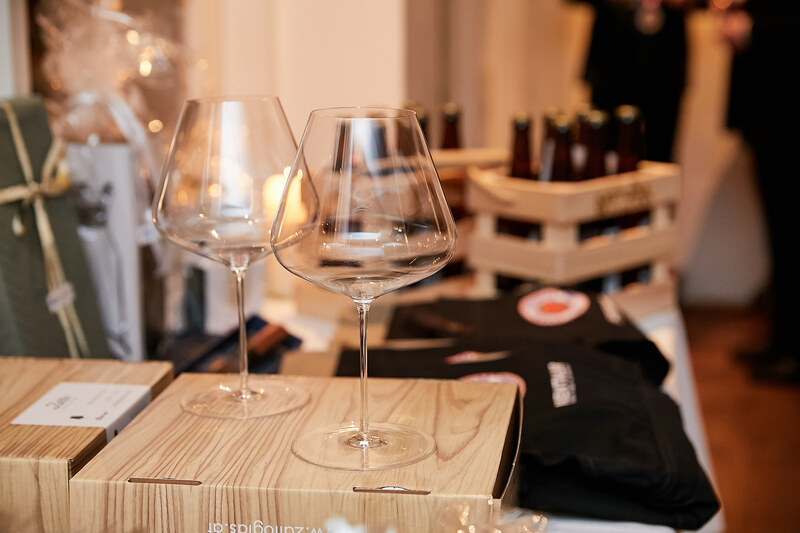 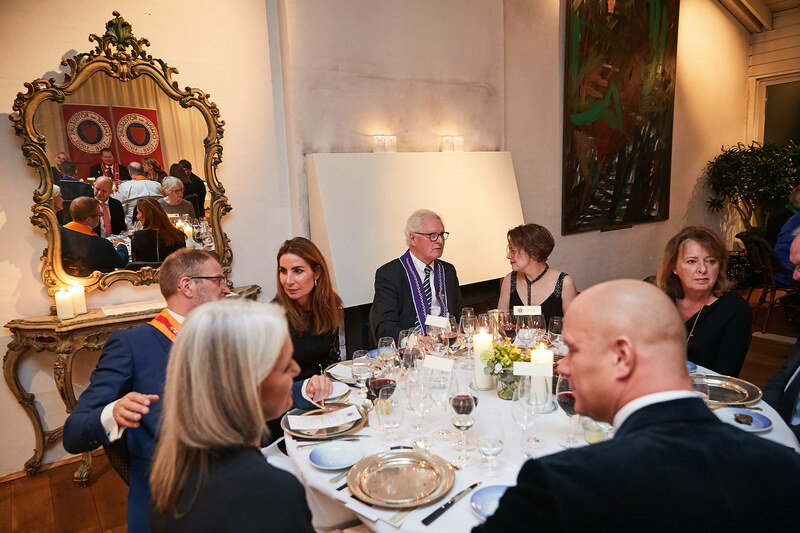 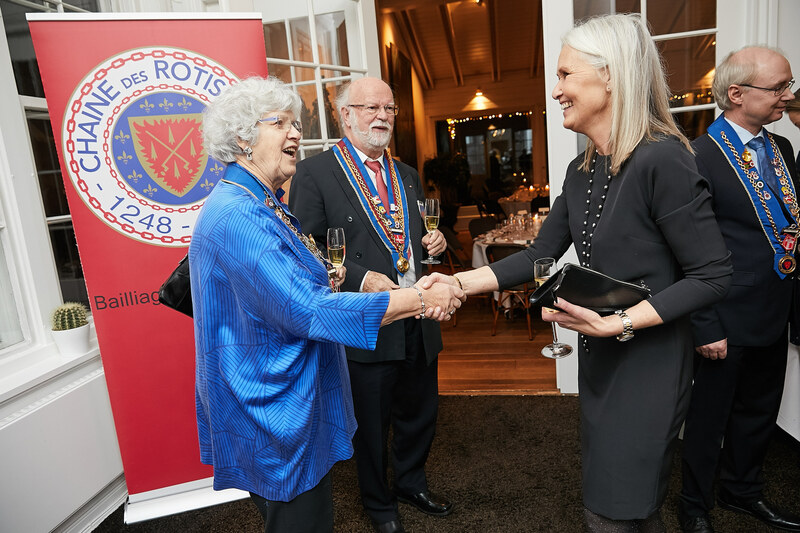 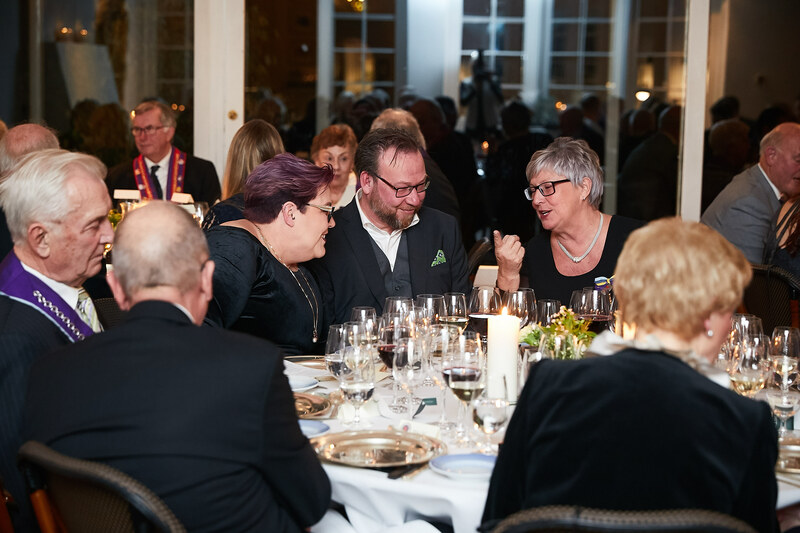 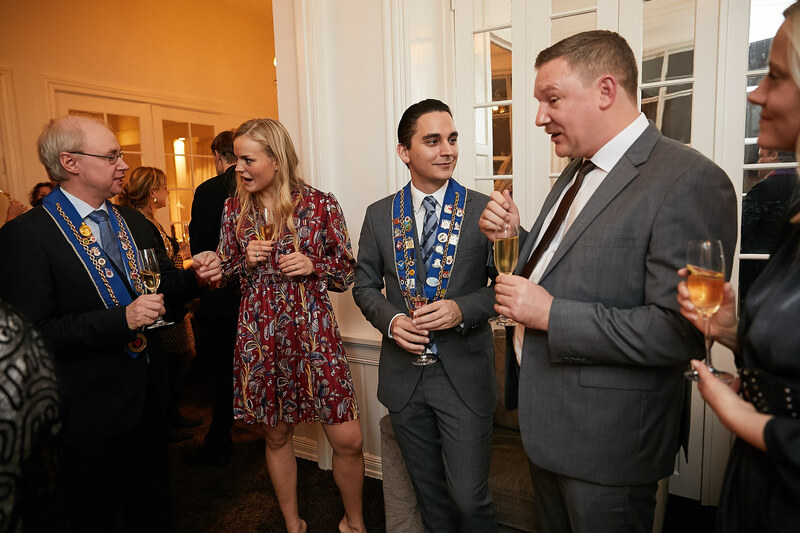 We had some nice snacks while we waited – and the Cremant was generously topped up while we waited for the entire party to arrive – we were happy to receive 8 visitors from the Swedish Bailliage. 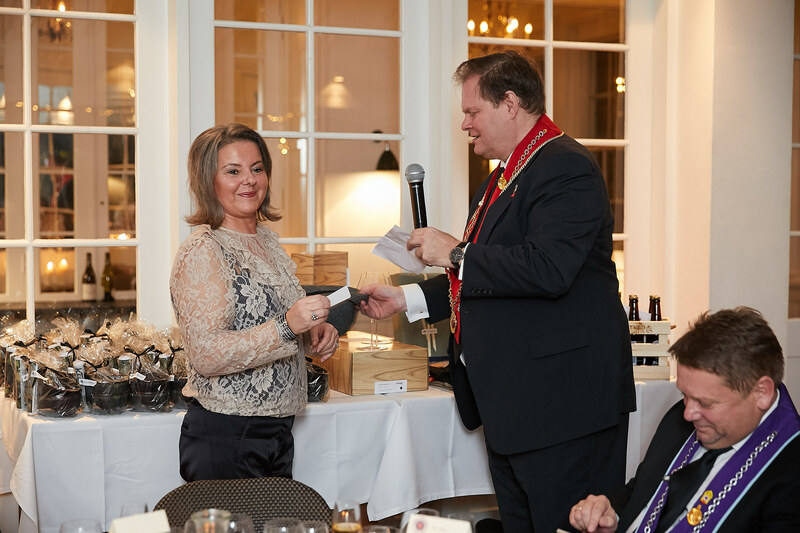 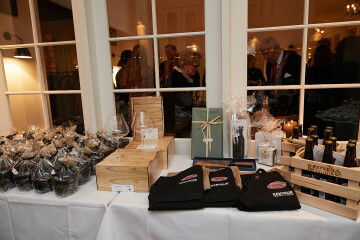 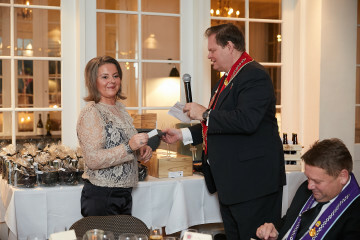 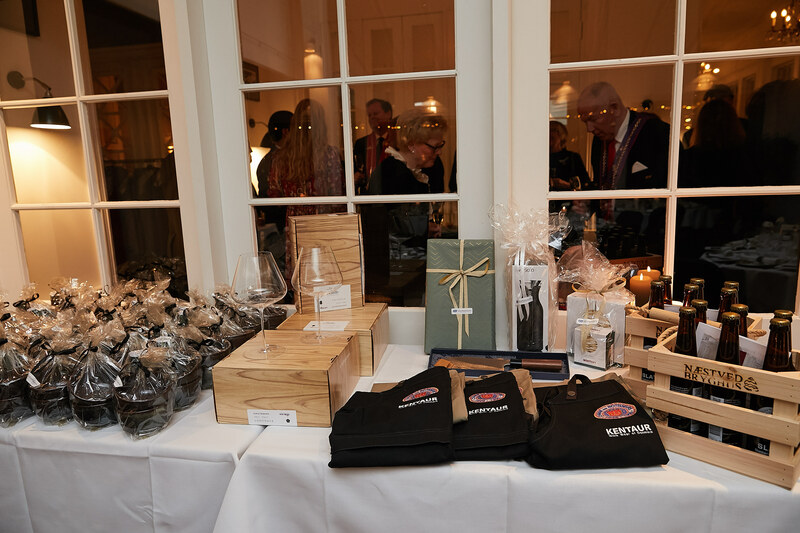 Halfway through the dinner we had a raffle (it was a Christmas party) where exciting gifts were provided from our sponsors: Ken Storkøkken (the event sponsor, who also had a small giveaway to the entire party), H.W. Larsen, Kentaur, and Zaltify. 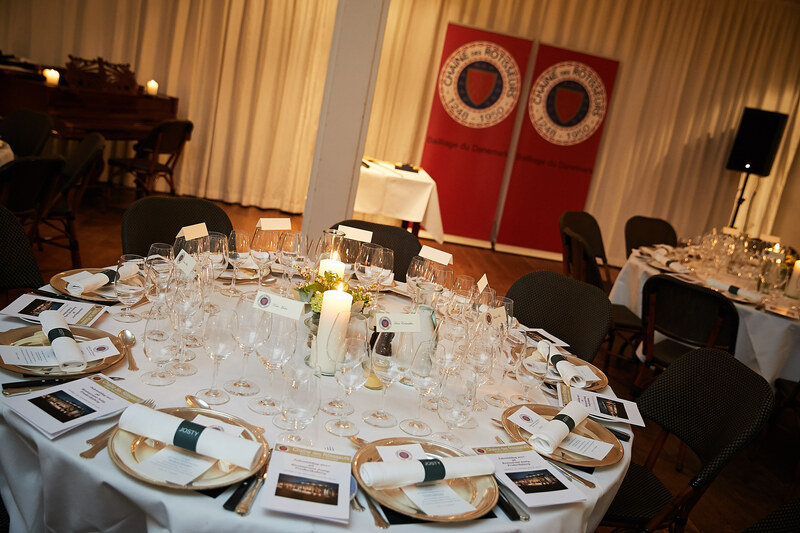 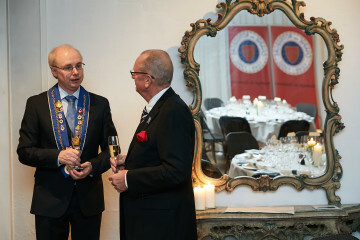 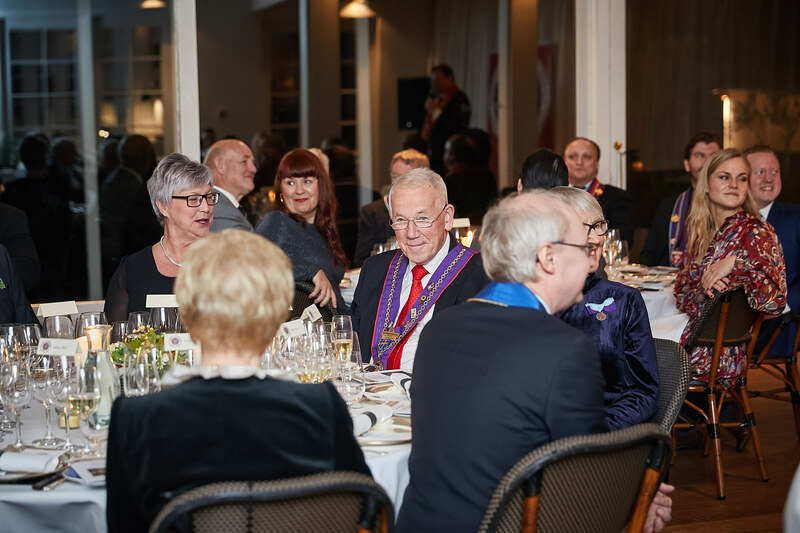 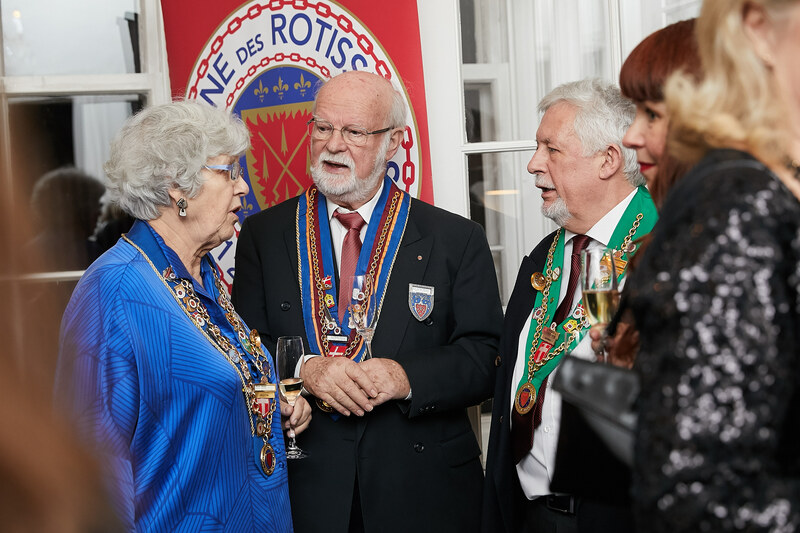 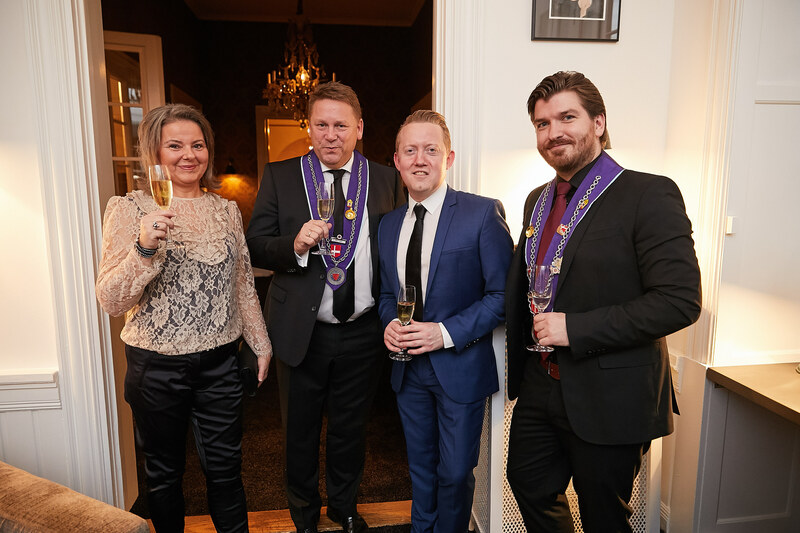 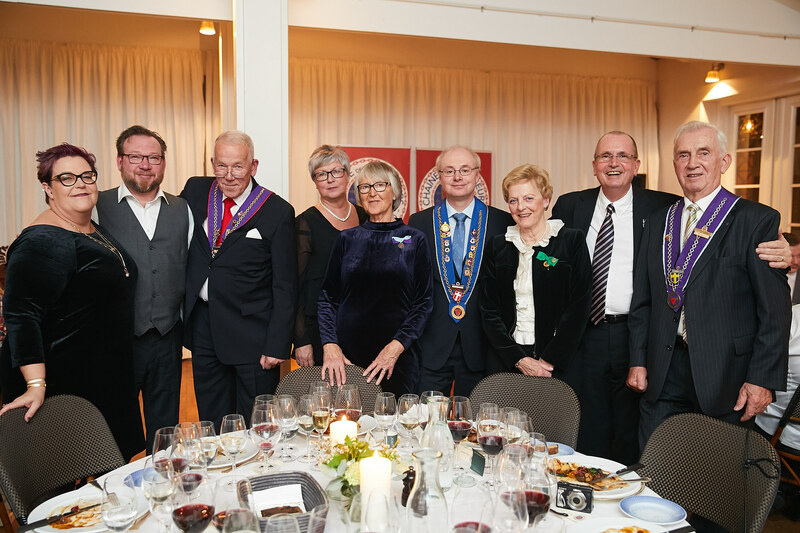 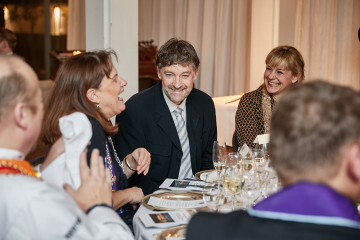 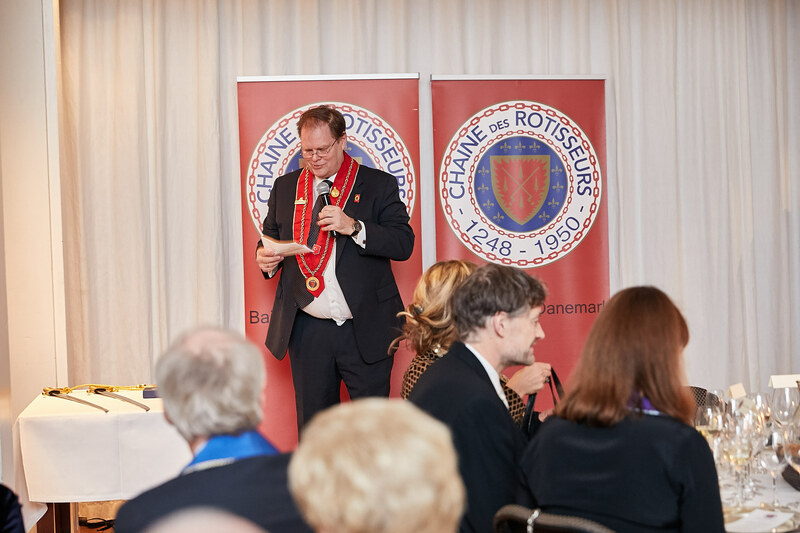 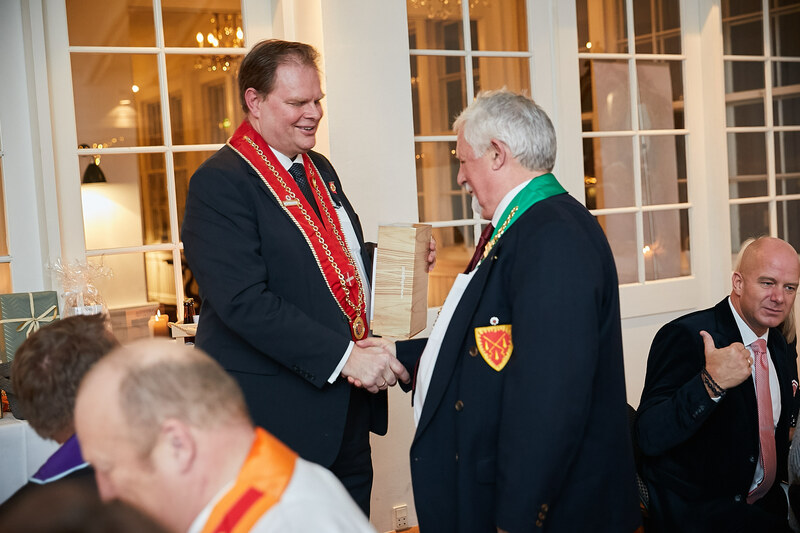 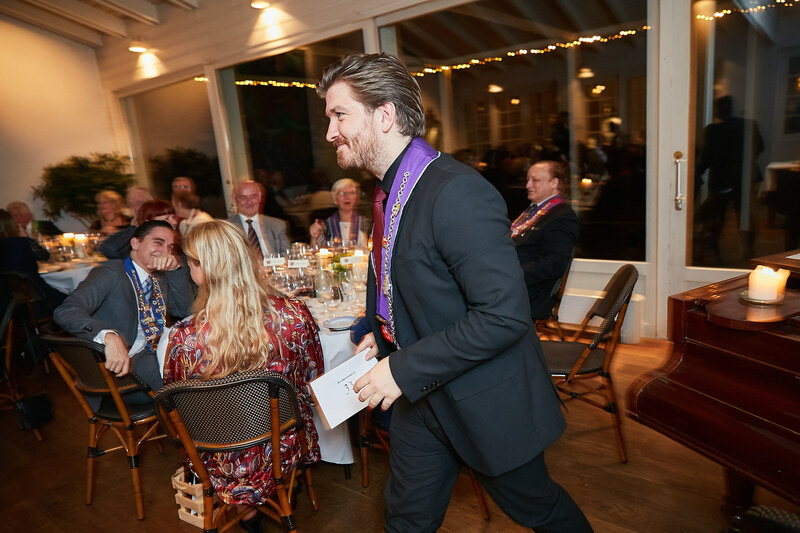 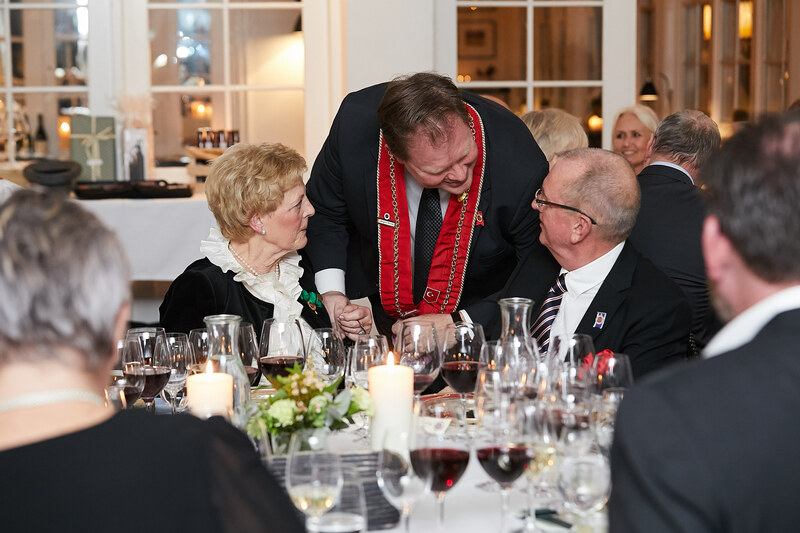 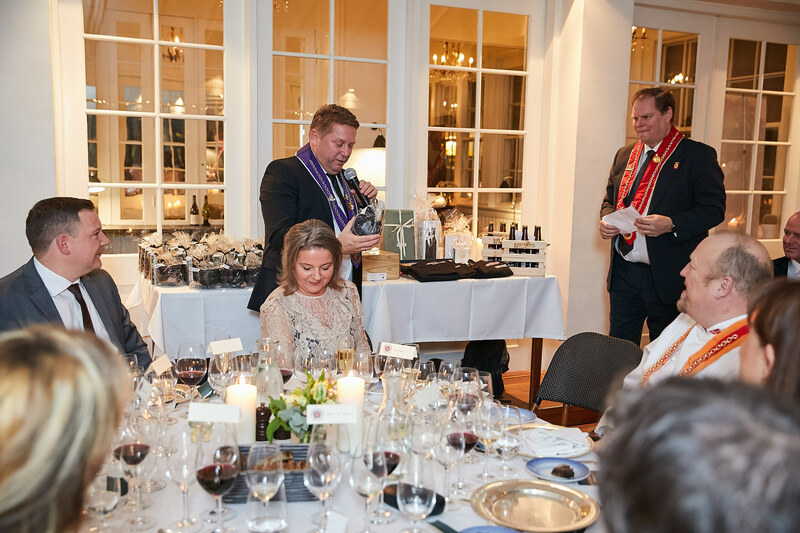 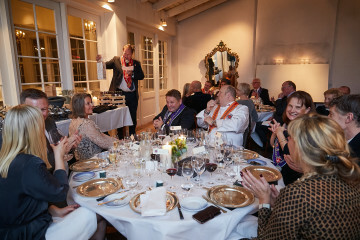 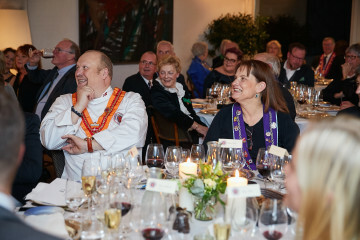 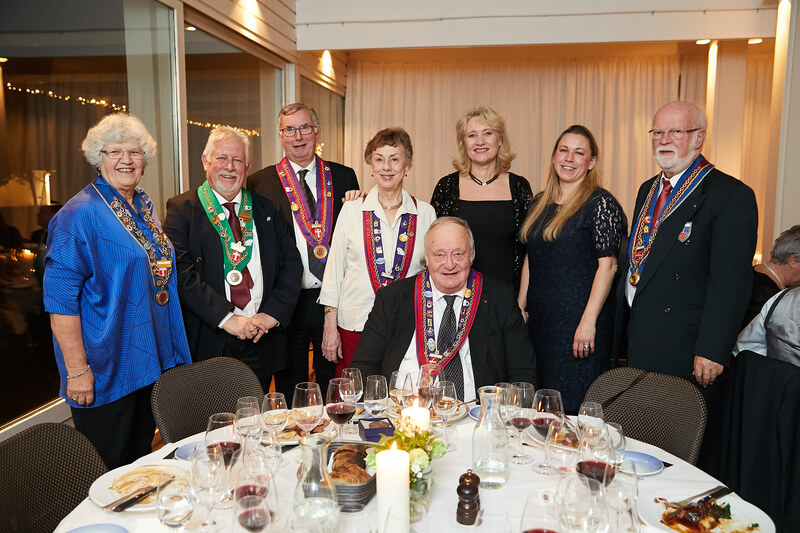 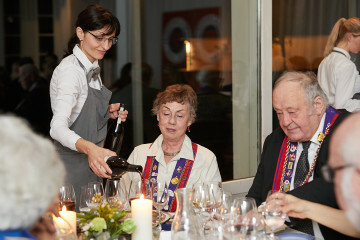 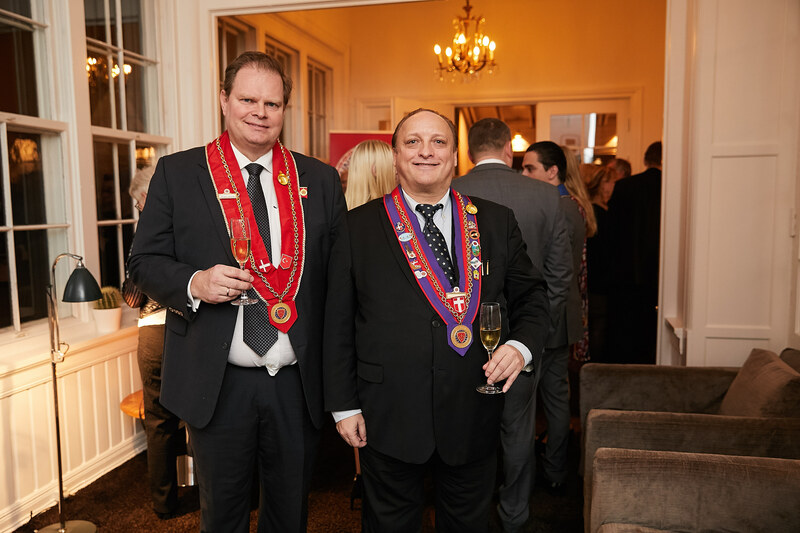 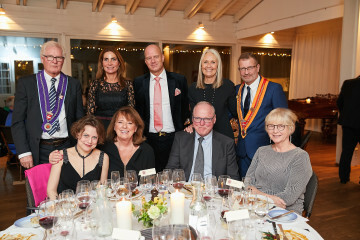 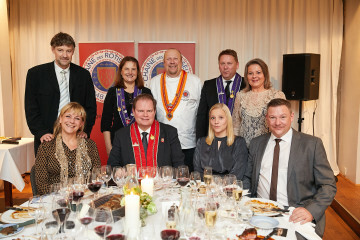 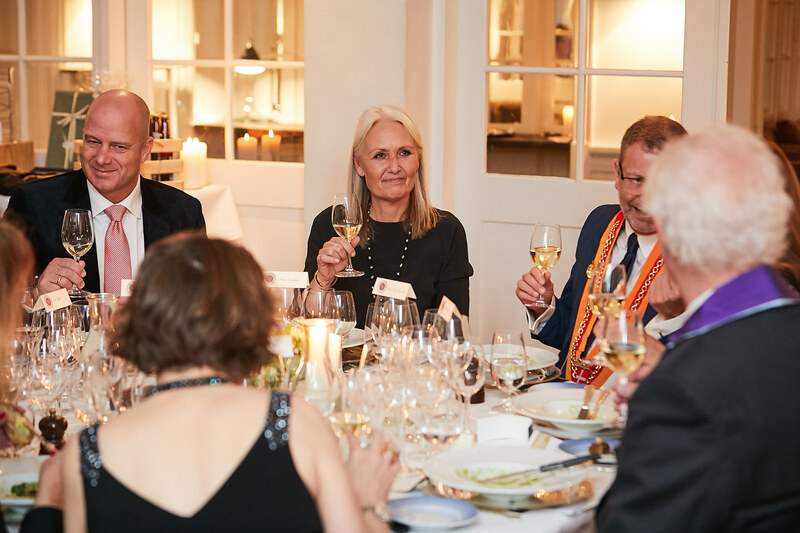 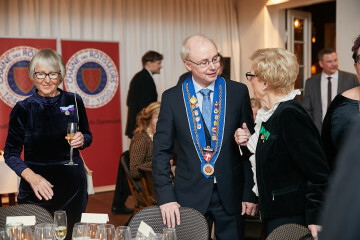 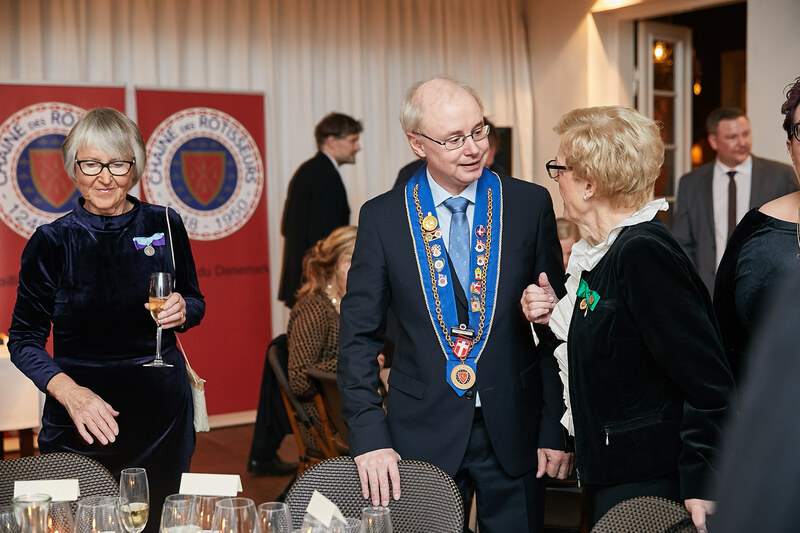 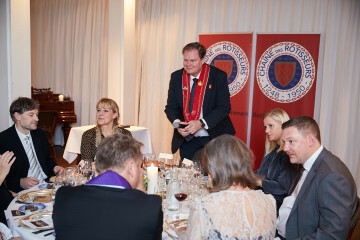 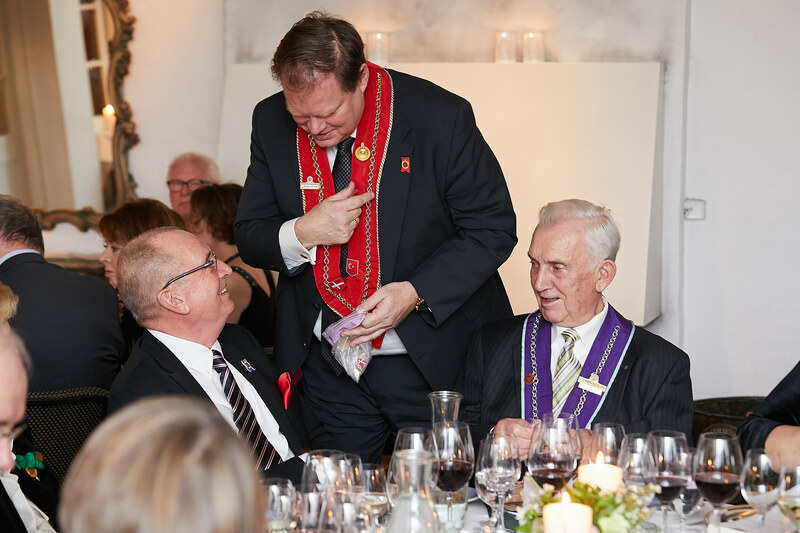 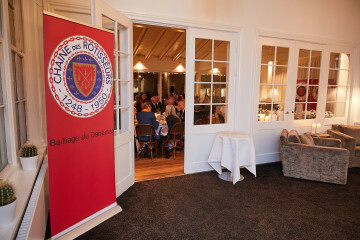 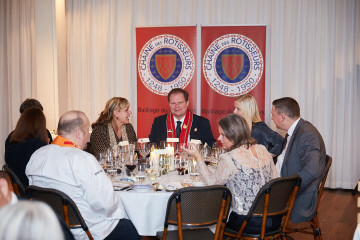 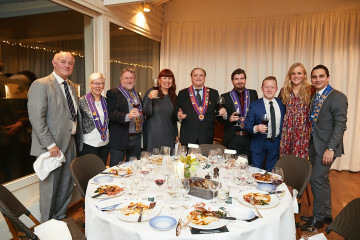 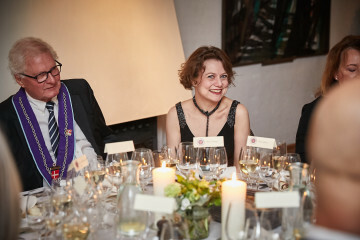 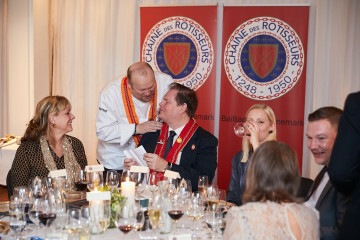 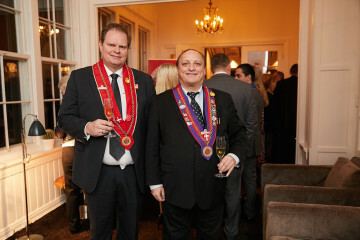 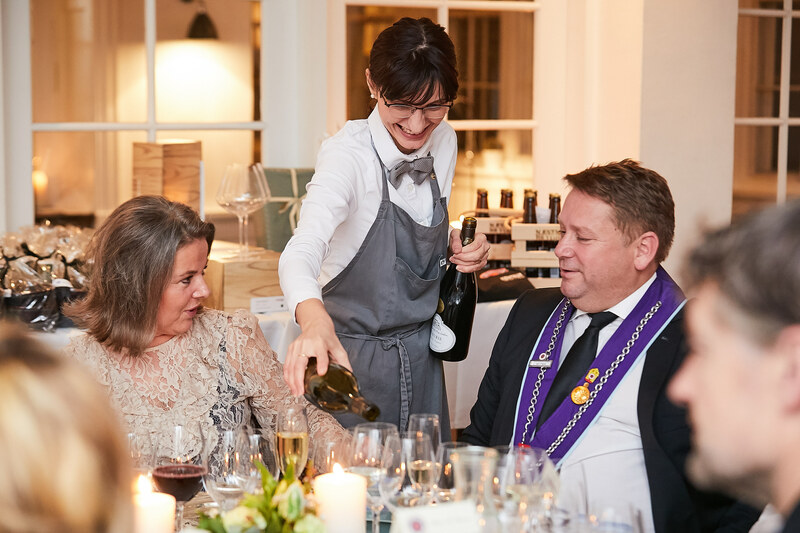 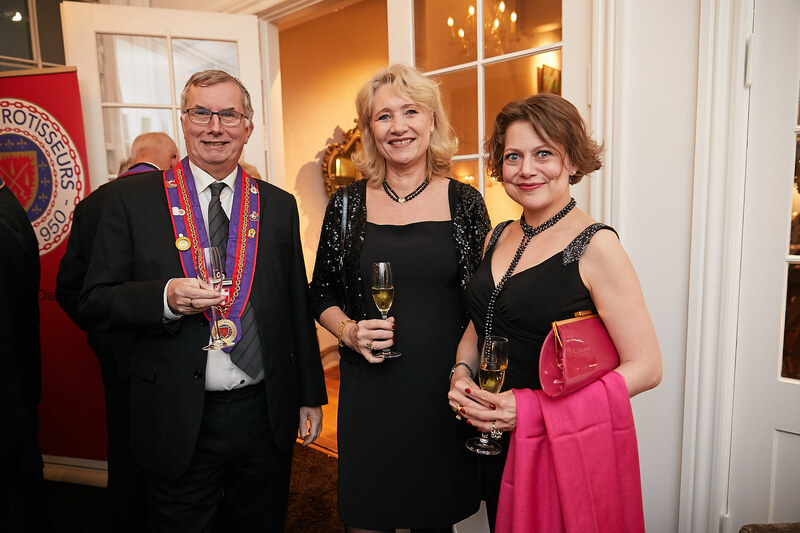 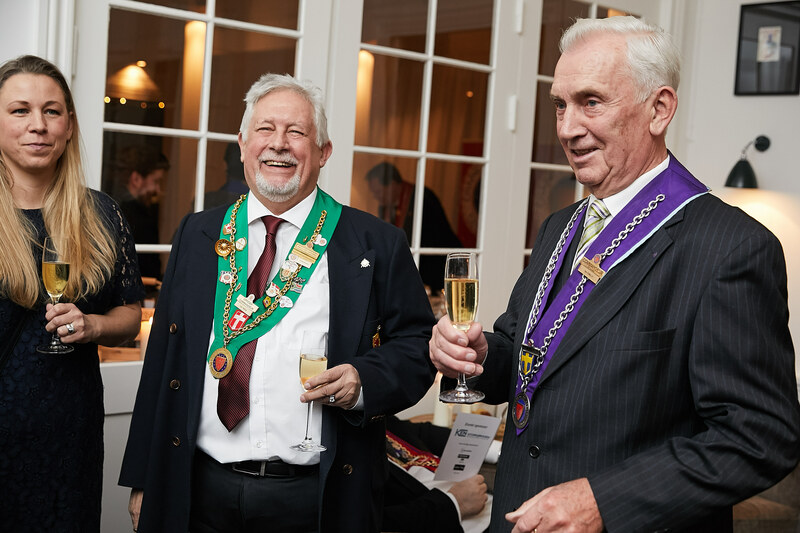 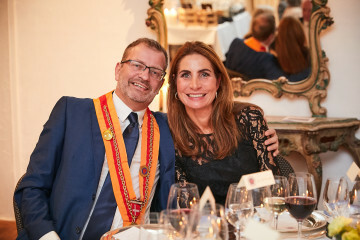 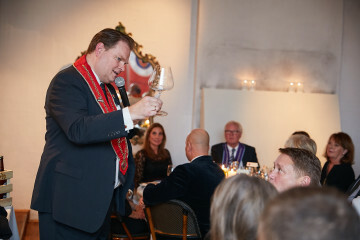 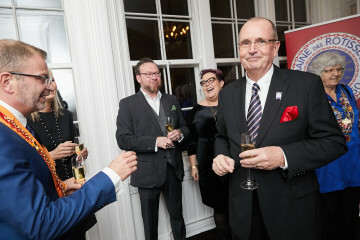 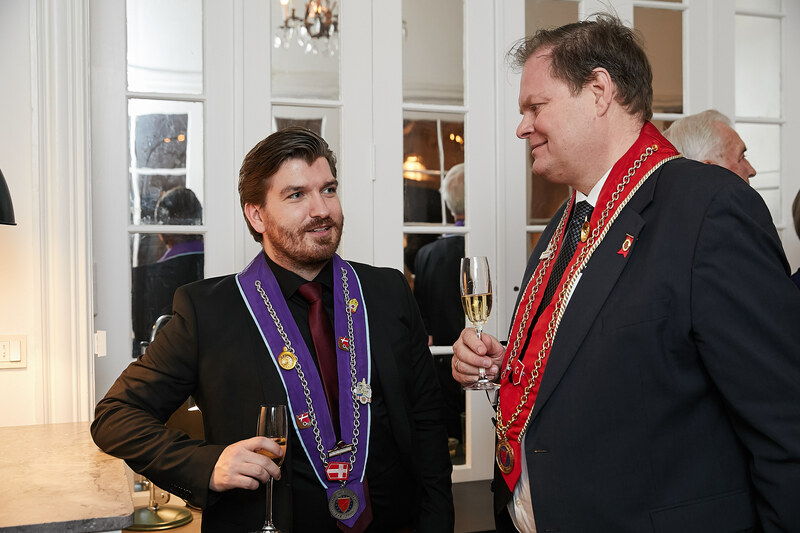 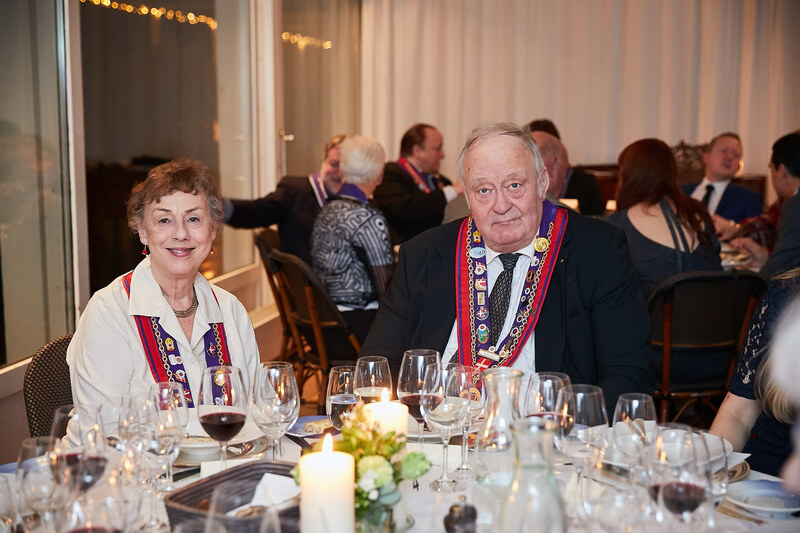 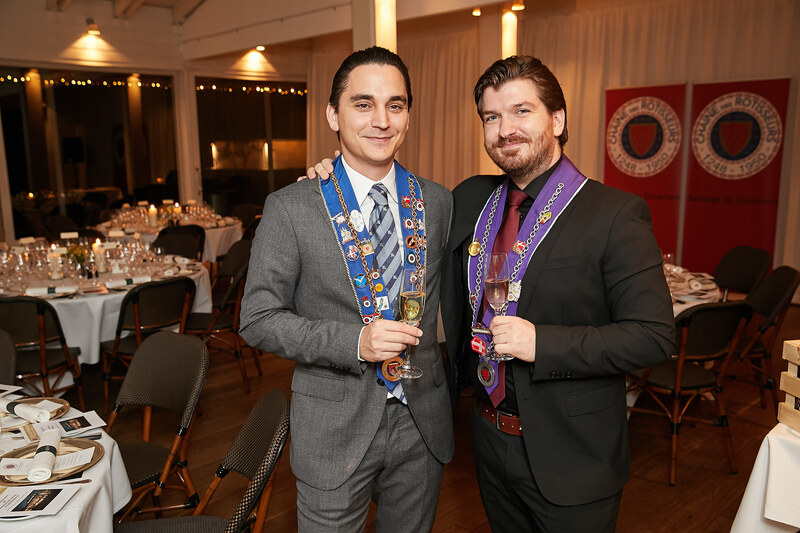 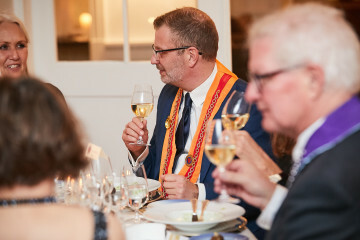 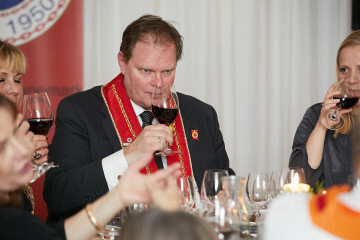 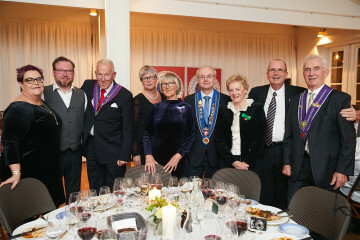 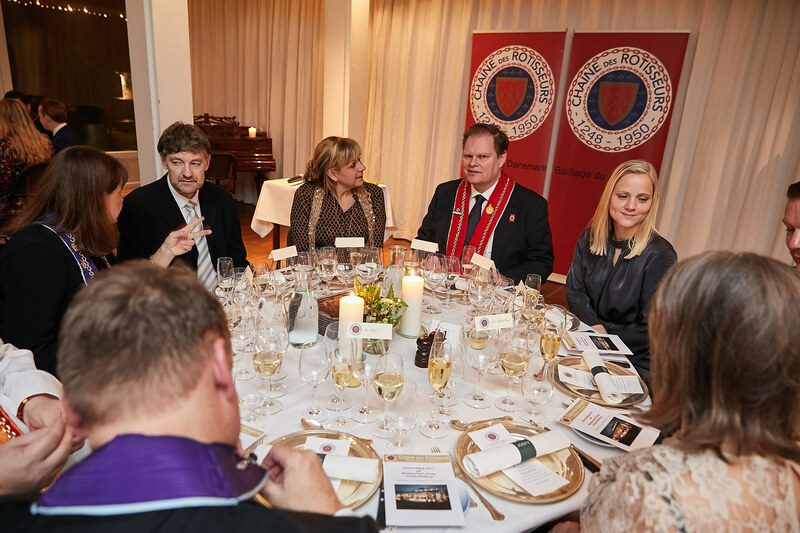 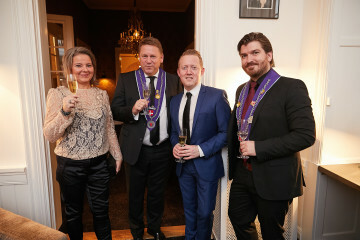 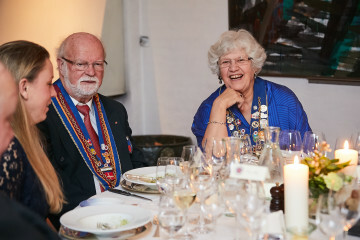 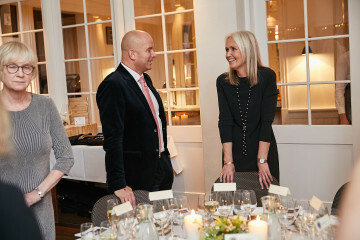 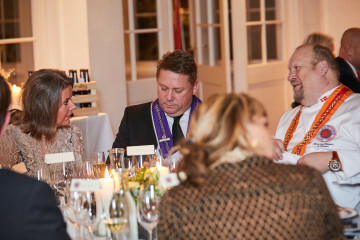 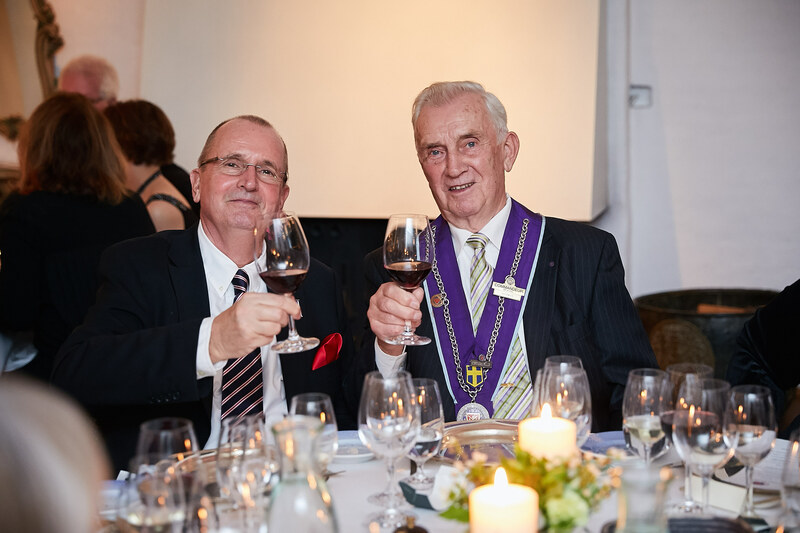 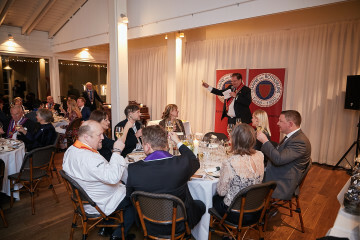 Grand Officier Maître Rôtisseur, Thorbjørn Moy and Echanson du Danemark and Sommelier, Jens Steffen Hansen, gave their appreciation after the dinner. 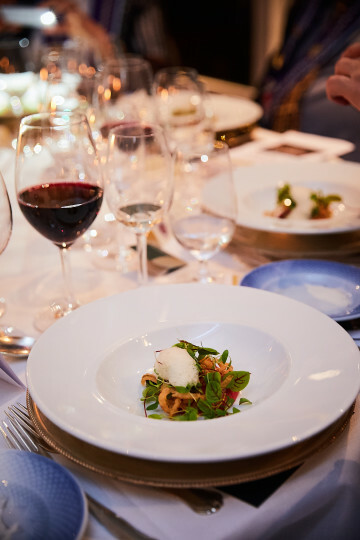 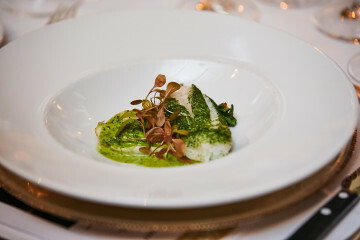 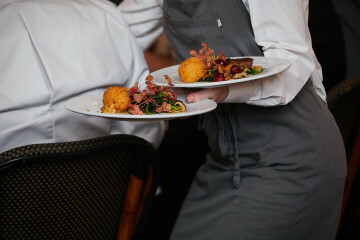 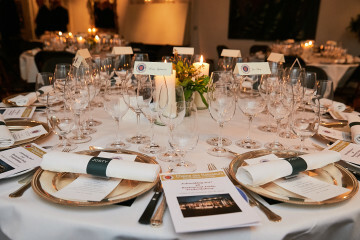 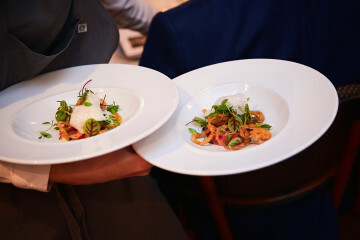 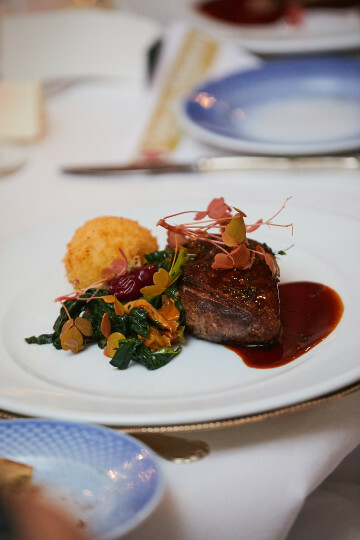 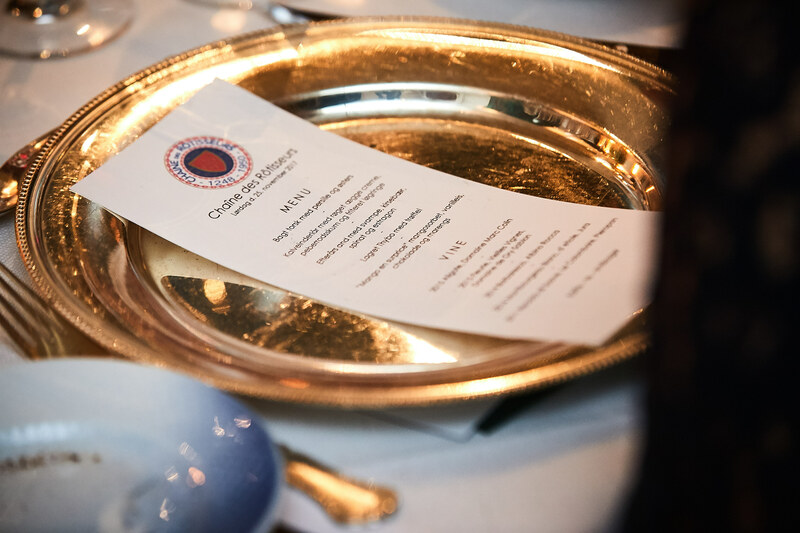 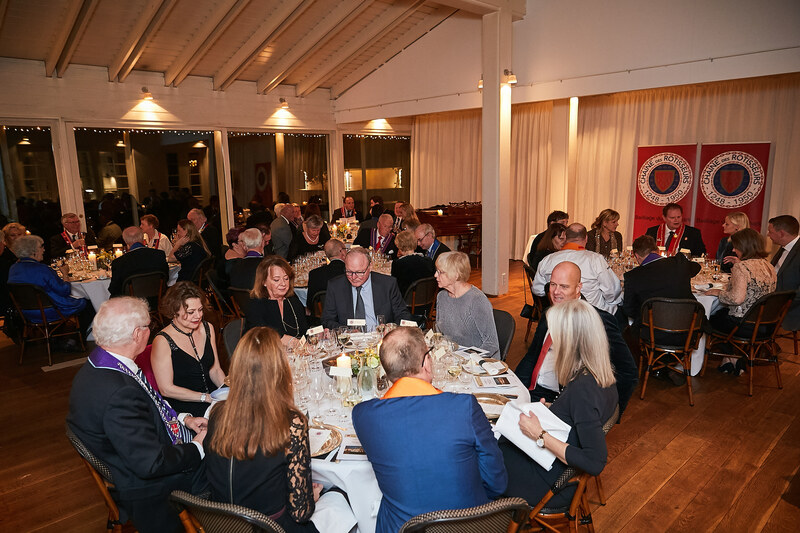 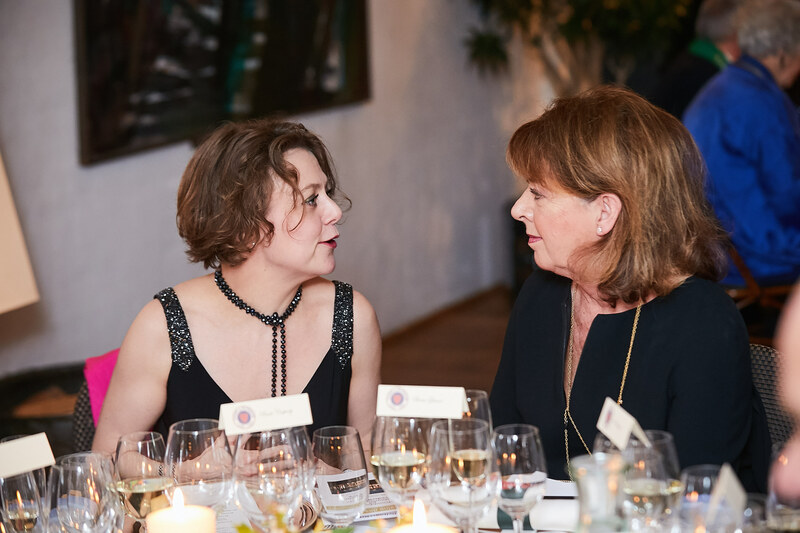 Both were positive and commented that some of the components in the dinner were very challenging, and that the restaurant was very brave to make these for a large party, but that they had managed it very well. 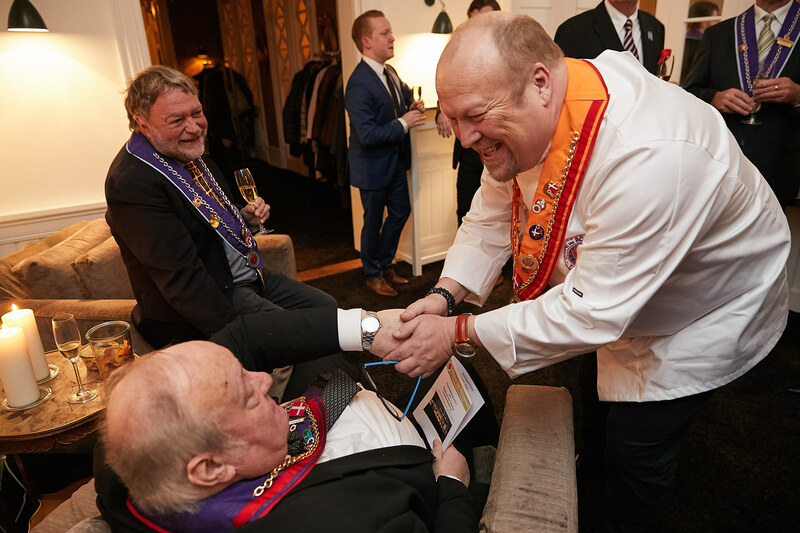 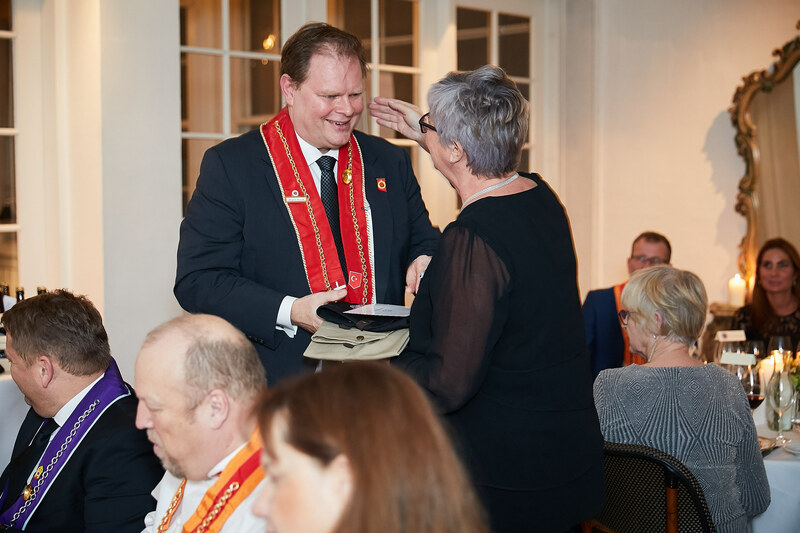 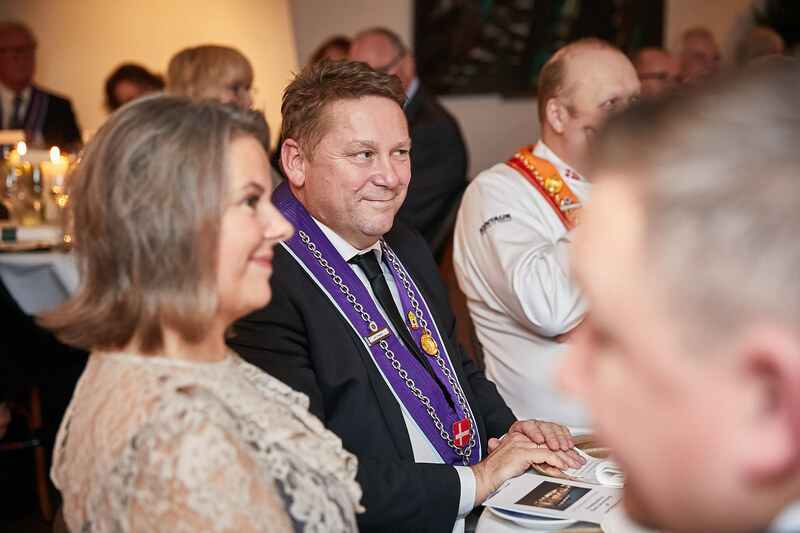 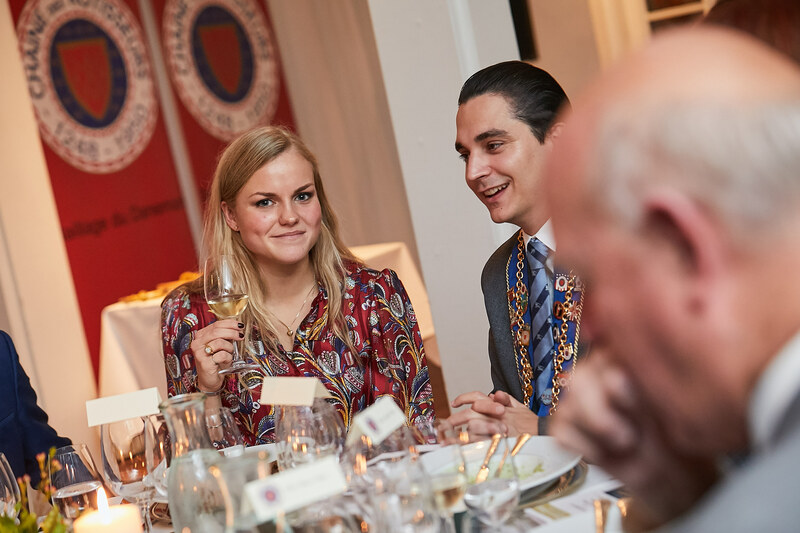 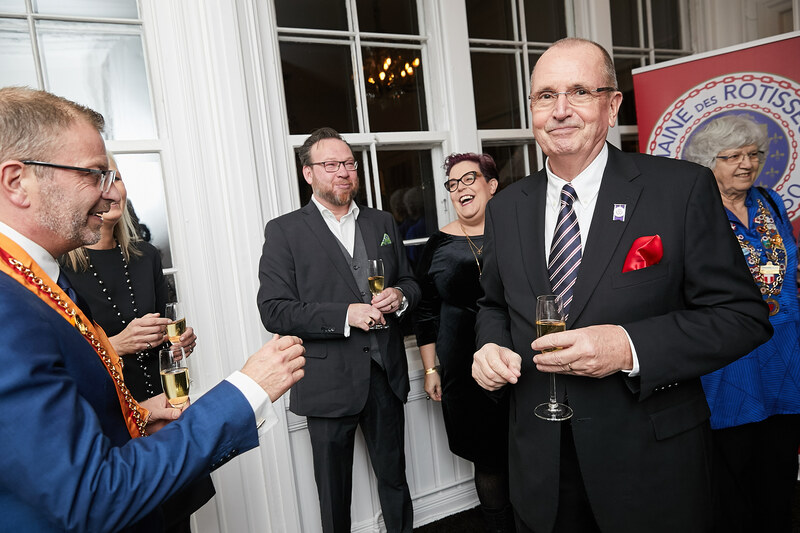 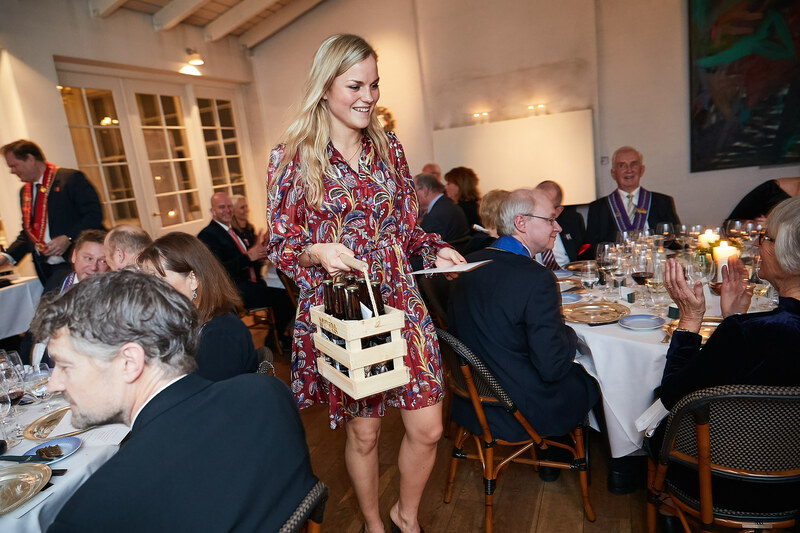 Also the service brigade had been a pleasant experience, and as Thorbjørn stated, with a smile you forget any small flaws, if any there might have been. After the appreciation Bailli Délégué Jørgen Krenk awarded the staff the Danish Chaine service staff pins, for their first class service. 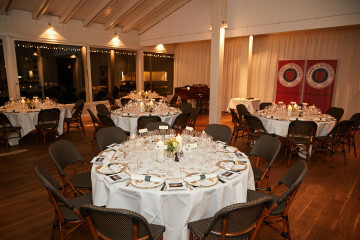 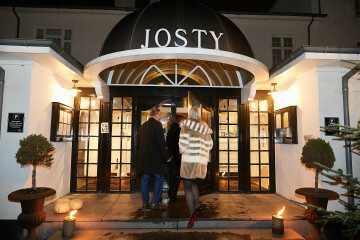 The party ended long after midnight, everybody having enjoyed the fantastic evening.